Whether you live in a beach town or in the middle of a bustling city, it’s guaranteed that your customers are going to be in a summery state of mind. Catch their attention with these three beautiful summer-themed store displays, and host a summer sale that boasts cool prices on the hottest days. 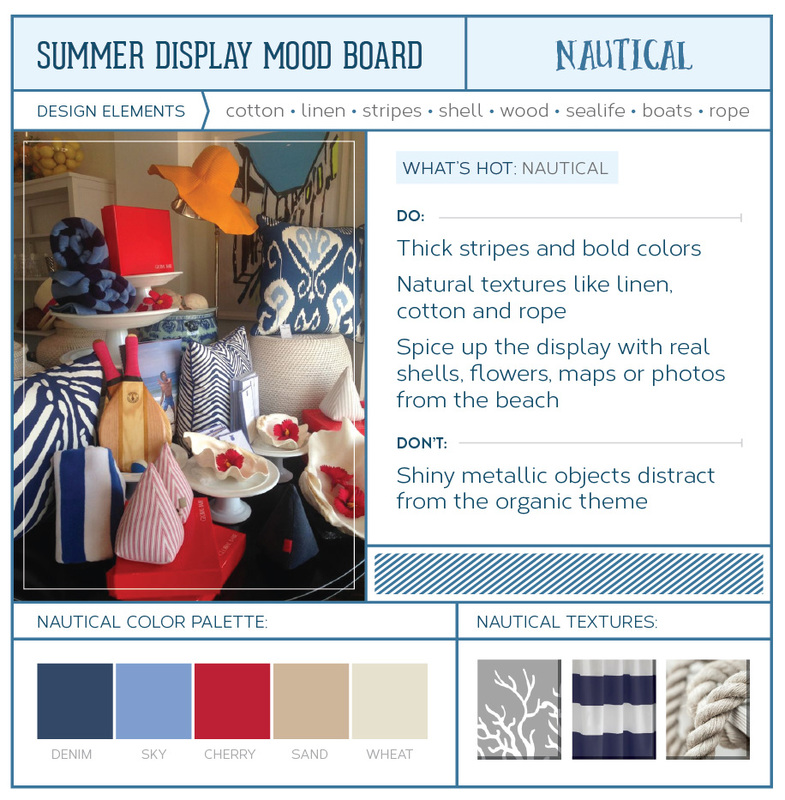 We’ve got you covered with mood boards illustrating three popular summer themes: nautical, rustic and brights. Follow our color palettes and get inspired in your store with coordinating texture swatches. Some of the best memories happen in the summertime, and now you can create a store display that’s just as memorable as your favorite summer vacation. The nautical theme is all about pairing bold, preppy colors with organic, beachy patterns and textures to create a balance between structure and whimsy. Stick to mostly stripes and solids, and mix in objects with organic shapes for variety. Avoid any shiny metallic colors as they will look too modern against your natural theme. Vary the height of your display by turning over a wicker or rope basket and placing some objects on top of it. Summer is all about having great experiences with family and friends. To spice up a summer nautical display, print some pictures from the beach and place them among your products. Good memories = happy customers! Rustic weddings and events are very popular right now. Cash in on the availability and popularity of rustic accent pieces to create a vintage-inspired display for your store. 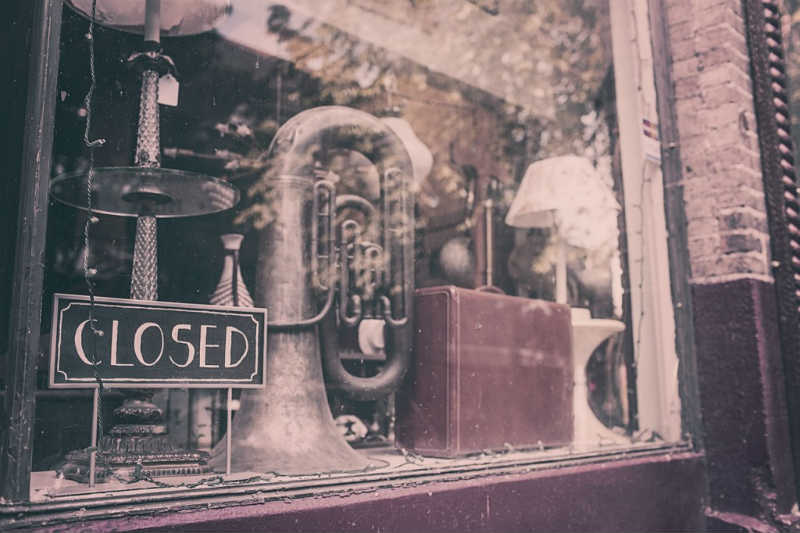 Take some time to visit garage sales in your area and be on the lookout for old crates and aged wooden frames. Group similar items in the crates, or flip them over to add height to your display. The most important thing to remember is that the best rustic displays are collected from various sources. It’s all about mixing and matching muted colors with natural textures and hand-written signage. For an easy chalkboard DIY, buy small, inexpensive picture frames and paint the glass with chalkboard spray paint. Hand-written labels or prices will add an even more personal touch to this unique collection of products. Catch the eye of your most creative customers with a bright, bold summer display. This daring collection of products will stand out above the rest thanks to simple shapes, bold patterns and a smart mixture of complementary colors. Limit your palette to four or five colors, and try to feature both solid and patterned products in those colors. Since this display is more contemporary than most, don’t be afraid to mix in some metal or plastic found objects. A bike with a bright basket would be a great way to add variety and store some smaller products. Choose a short word that corresponds with your display, and spray paint large cardboard letters for a project that costs very little but makes a big impact. 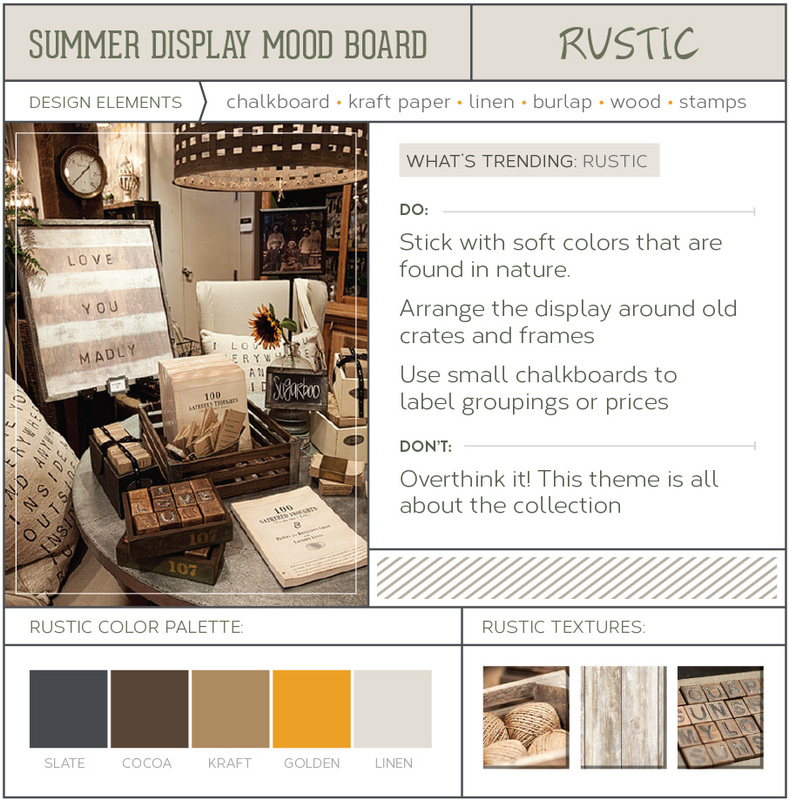 The inspiration you can gain from creating mood boards can extend beyond your showroom floor. 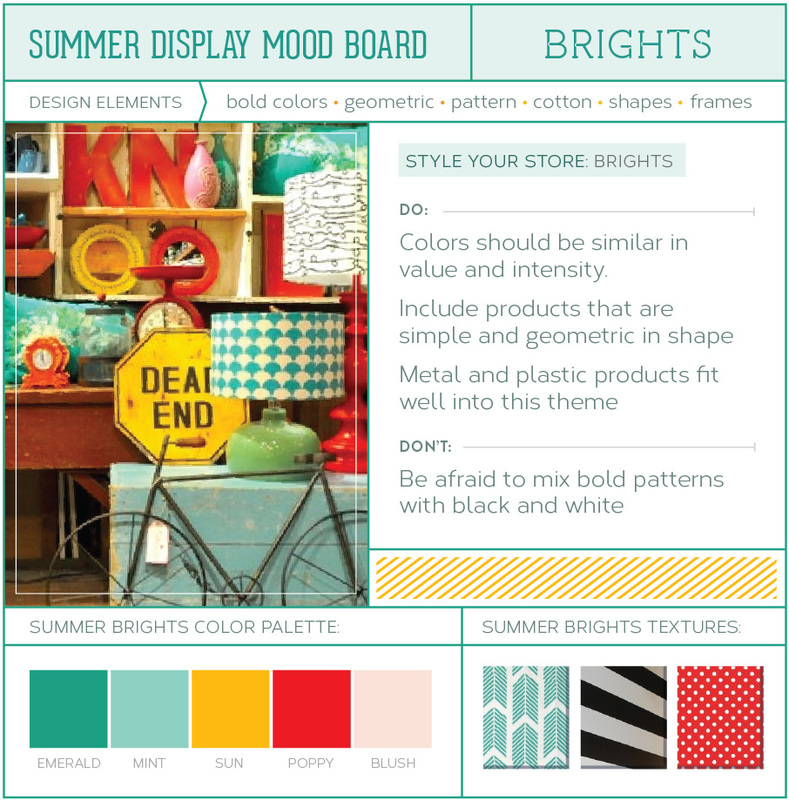 Use the color palette from your mood board to create a cohesive customer experience from your online marketing efforts to your in-store displays. It’s the little details that catch your customers’ attention and keep them coming back time and time again.